There are a lot of foods one would assume to be clean. 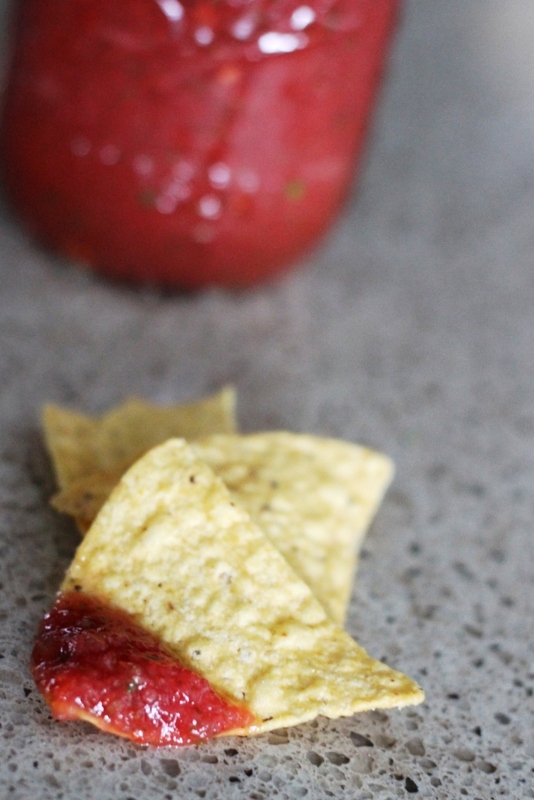 Salsa, particularly the kind you find in the deli section of the grocery store, is one of those foods. All of the jarred salsas at my grocery store, including those in the produce section had at least citric acid in them, if not sugar and a bunch of other preservatives. Boo. Snacking should not be this difficult! Credit for this recipe goes to my Aunt Karen. She introduced me to this salsa back when I was in middle school, which to this day remains the only thing I like to eat with cilantro. I still can’t stomach that herb elsewhere, but here its necessary. 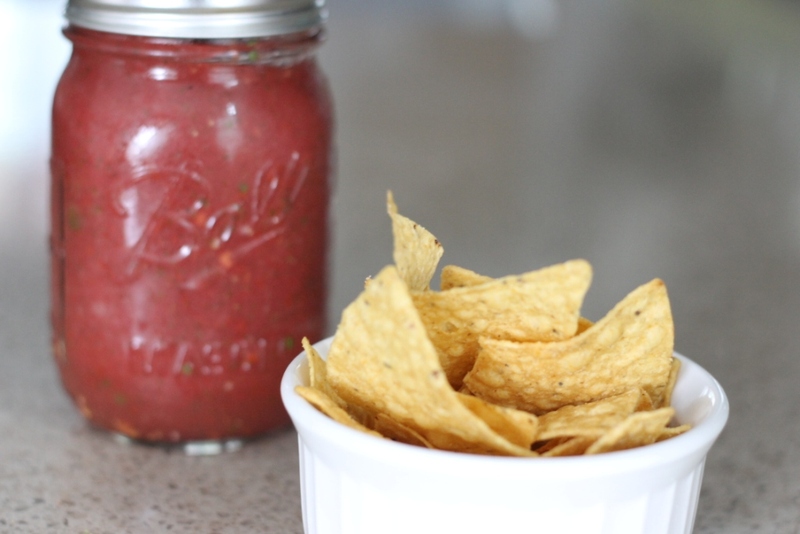 * The recipe calls for one jalapeno which makes a very mild, almost sweet salsa. Add another jalapeno, other peppers and/or some Tabasco if you would prefer a spicier kick. 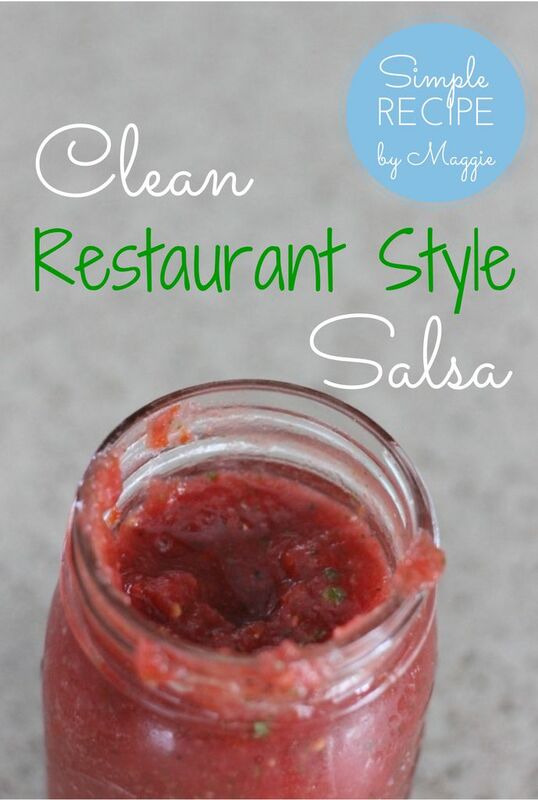 This restaurant style salsa for chip dunking and taco topping is perfect when you're trying to eat clean. Recipe makes one pint. 1. Place all ingredients into your food processor and pulse until thoroughly combined and desired consistency is achieved. Tada! It doesn’t get much easier than that one, folks. Enjoy! Love it! I made homemade pico de gallo last week from a combination of my CSA haul and my first jalapeno from my garden. I add a little bit of cumin to mine. Nothing beats the fresh stuff! Oh…cumin! Good idea. I’ve just been introduced to (or my palette has finally accepted) cumin this year. I love the subtle smokiness it lends dishes. I’ll have to try that next time.